Progressive dies are used for high volume production to manufacture high quality parts economically and with high repeatability. Progressive dies consist of one die where multiple operations are performed in consecutive stations. Stock is automatically advanced through stations using a strip or ribbon of the material to feed parts through the process. As parts move through the stations, multiple forming and piercing operations take place to form complex parts. 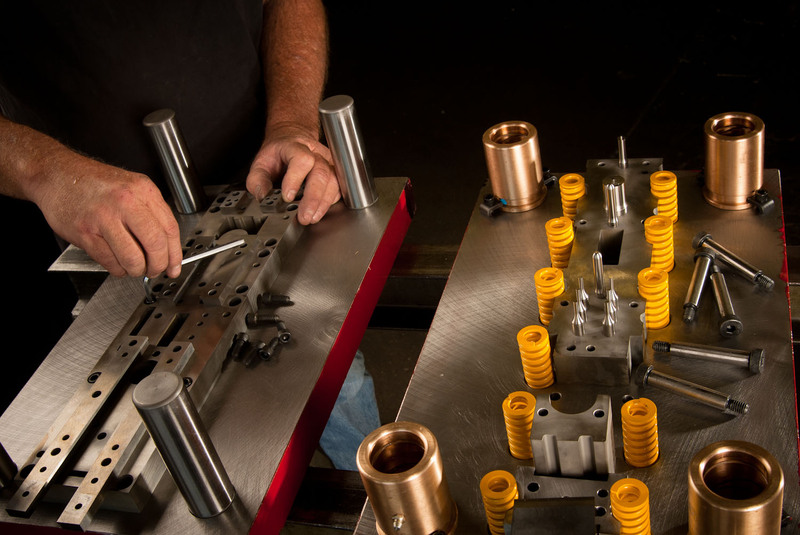 Our in-house tooling department designs and manufactures custom tools and dies to meet exact specifications, ensuring your part is manufactured to your precise requirements. This allows us complete control over the entire tool making process while reducing overall production time on your part. We also provide regular scheduled maintenance on your dies to ensure they are always up to spec and running with maximum efficiency. 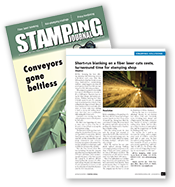 At All-New Stamping, we listen to your needs to provide the right fit for your production specifications while insuring our tool and die manufacturing meets the highest quality standards. Our manufacturing process is AS9100 and ISO 9001certified and we adhere to NADCAP standards.